It is hard to imagine that the world used to rely on film. Photographers, on land and below the surface, were forced to shoot scores of ‘frames’ to get the perfect shot. Imagine being limited to either 24 or 36 shots, and horror of horrors, having to wait days or even weeks before seeing the results. I remember film, I remember developing my own and the cost and trouble involved in buying and storing chemicals, and the inevitable disappointment in having spent ages on an image, which then reveals itself to be mediocre at best. 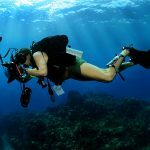 To see where we came from, let’s have a look at a few of the cameras that changed the way folk like me capture images underwater. 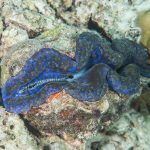 The early days of DIY Nowadays, anyone can take images underwater, you can even get good quality housings for smartphones. 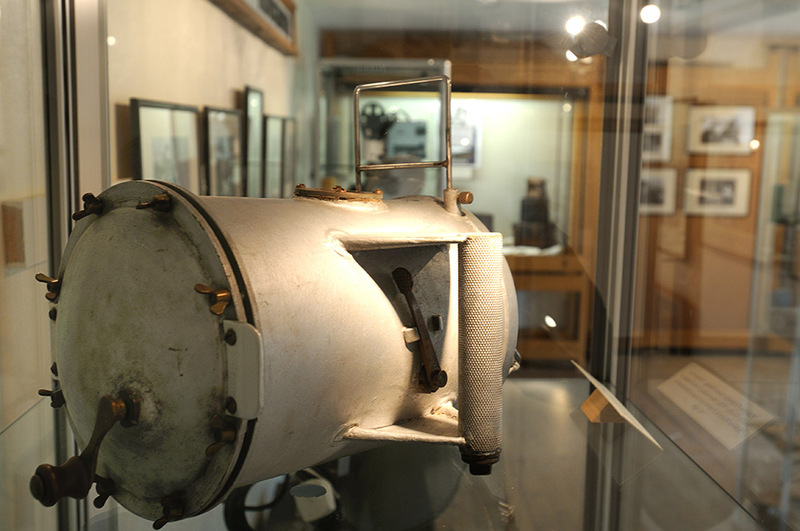 Imagine a time when camera housings were hand made. 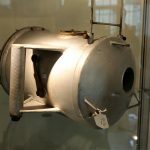 > I came across this beauty in a museum in Yorkshire, England. 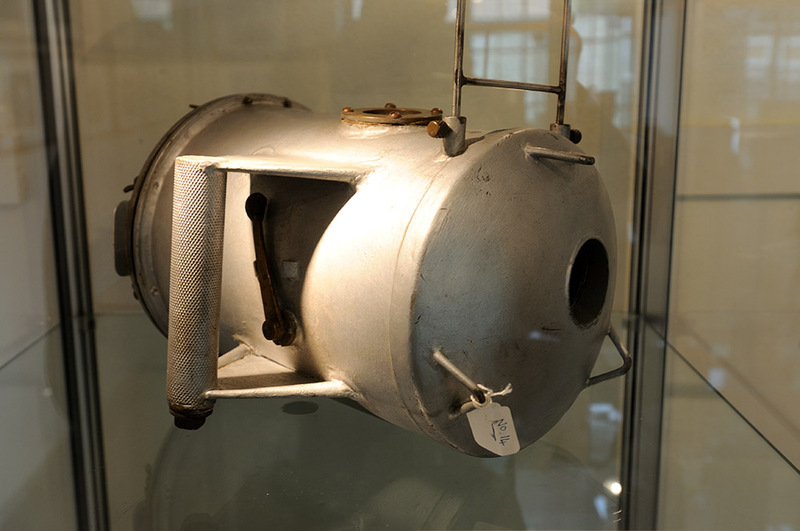 Made in the 1950s by a chap named Geoffrey Willey, it contained a modified 16mm cine camera. 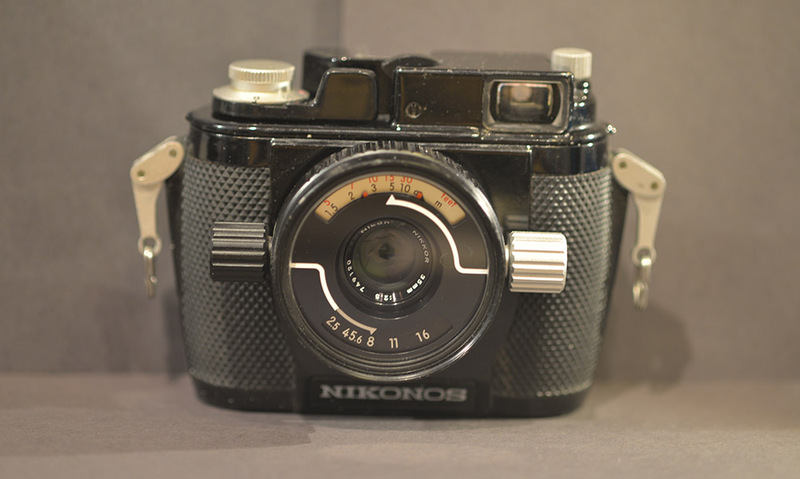 Nikonos A decade later, Nikon developed the Calypso camera (originally a Jacques Cousteau design) and thus began the Nikonos series of 35mm film cameras. Just about every pro used them. Film buffs will recall Sean Connery sporting one of these in Dr No. The Nikonos cameras were considered a triumph. 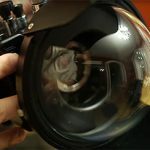 They had lenses specifically designed for underwater use and were supported with countless accessories from flash guns to viewfinders that matched the range of lenses on offer. 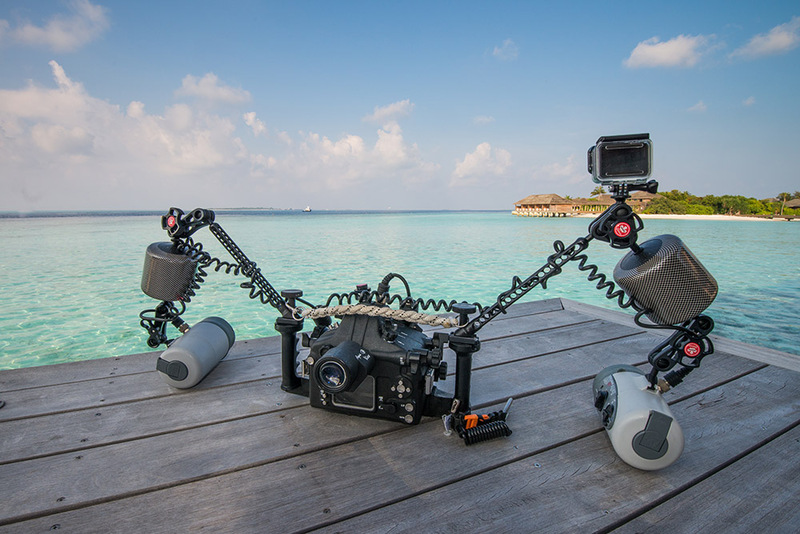 Present Day It is truly astounding that we can now shoot 4k video and hundreds of high res images of a quality no one would have dreamed of a few decades ago. 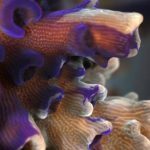 From the humble GoPro to professional full-frame camera bodies in beautifully engineered housings, we are living in a tech heaven of underwater imagery. The only downside is that professionals must work harder to make impressive images, now we are all photographers. My own rig. There’s a Nikon D800 in there. 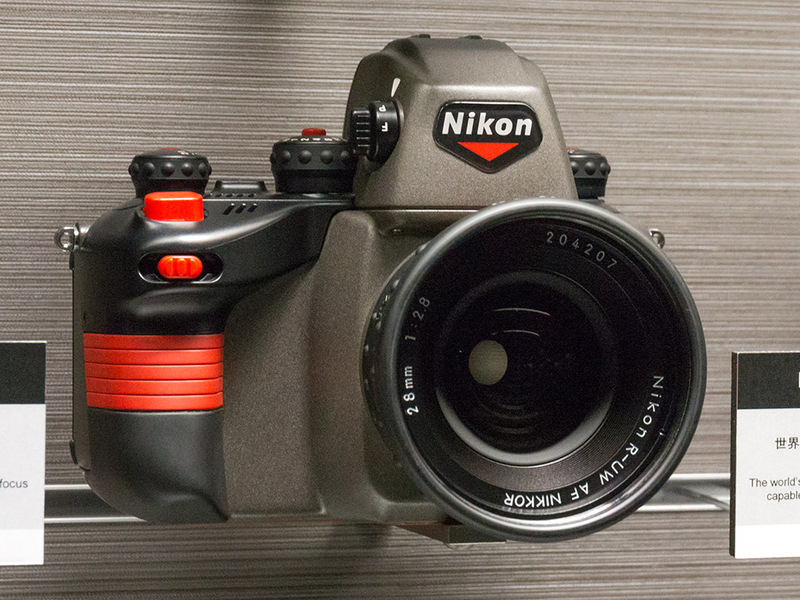 Every so often though, a rumor will resurface that Nikon will release a new underwater camera. 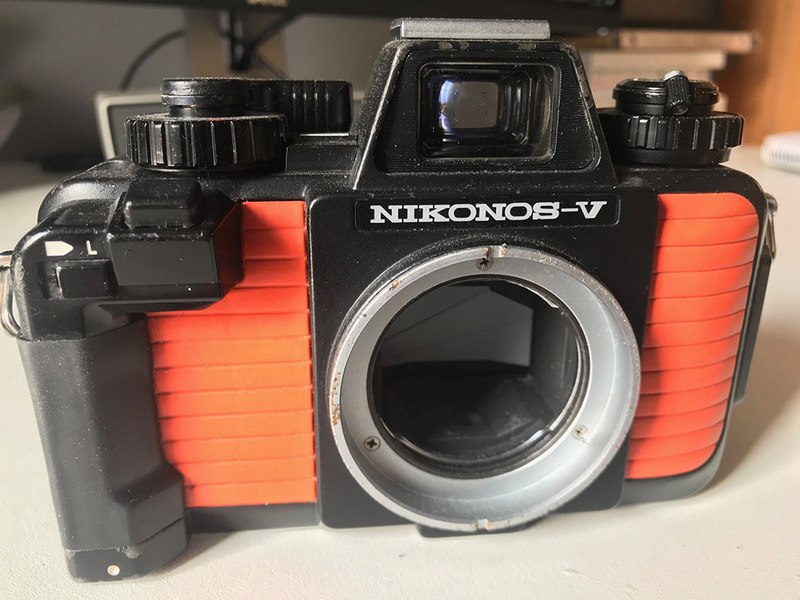 Or a Kickstarter project will be picked up by the bloggers, offering the promise of ‘digital film’ that could be dropped into an old Nik V and we could once enjoy the underwater corrected optics of the past.